Nature’s Sunshine Breathe Deep blends Lemon, Orange, Eucalyptus, Spearmint, Cypress, Fir, Ravensara, and Tea Tree Essential Oils to offer an invigorating and cooling fragrance. 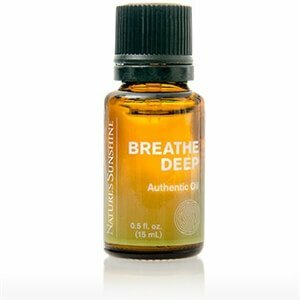 The combination of oils in Breathe Deep assist breathing. 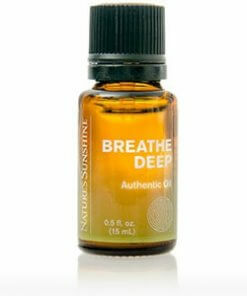 Diffuse for clear breathing or blend with Nature’s Sunshine Carrier or Massage Oil and apply to chest.